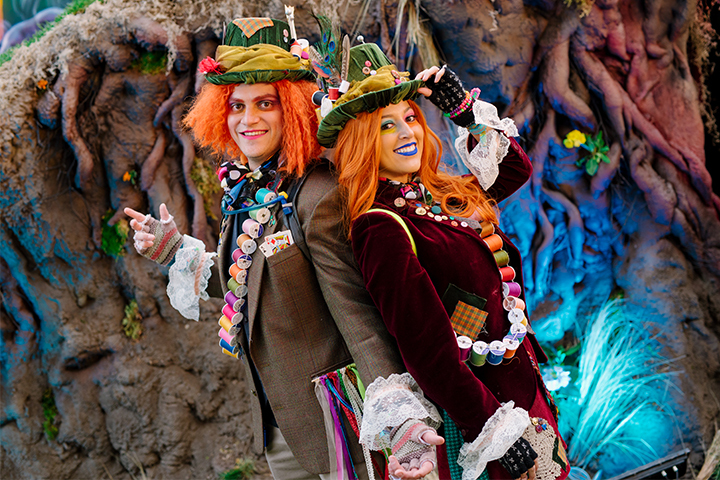 One of our favorite parts about Beyond Wonderland SoCal is the time of year it takes place. 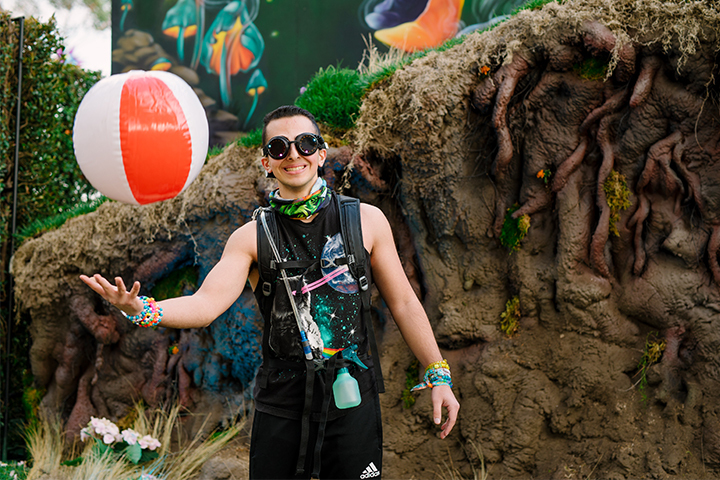 With the festival landing in March, it’s unofficially considered our kickoff for the fest season, so it seems everyone is itching to dive into the dancefloor and make the biggest splash. 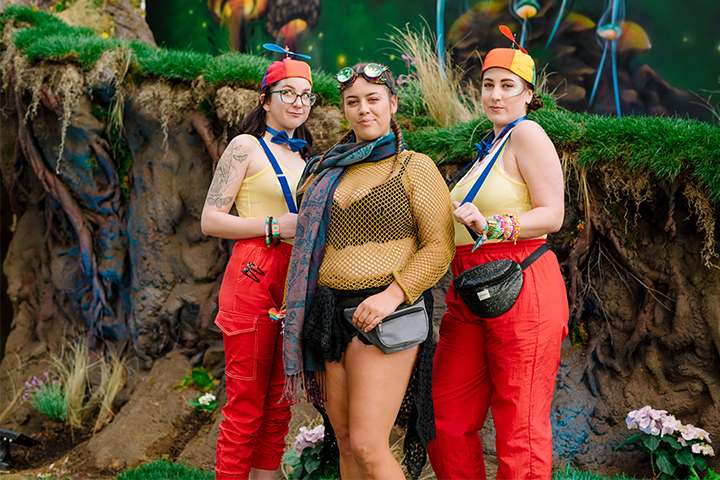 This past weekend, we ran into countless Headliners who noticeably put some extra thought and care into the threads they sported for our start-of-season smash. 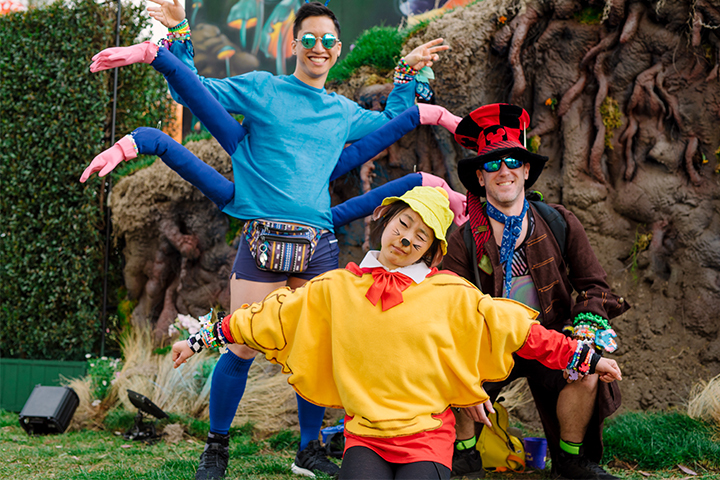 These are the Awesome People from Beyond Wonderland SoCal 2019. I’m not afraid to get a little cold! And I love cats. That shoot lasers. In space. What was it about the dance music scene that you fell in love with? Anyone can be a part of the scene; it doesn’t matter your background, age, or orientation. What’s your favorite thing to do when you’re not at a music festival? I’m really into health and fitness. A lot of people don’t think that goes hand in hand with raving, but I think it does. Toshah: The community. Everyone is so welcoming and nonjudgmental. I’ve met so many people from across the country. We go to the gym a lot, and we both compete in bodybuilding. The energy. Everyone’s energy is amazing. Everyone’s happy, they’re excited to be here, and they love the music. Arts, crafts, and making costumes! Emily: This is my first rave ever, so my outfit is a mixture of other stuff, and this all mixed together. It’s more just like free flowing, chill. Autumn: Just the community behind it. You come to these festivals, and there’s no anxiety; it’s home—ever since my first one. We love just chillin at the beach, taking runs, and longboarding there—the classic California life. Ashley: I started a really long time ago, when I was in martial arts. I heard all the older students listening to old-school stuff, like Tiësto and everything. A few years later, I found out it was actually EDM, so I started listening to it and attending festivals and everything from Insomniac. I’ve just been loving it ever since. Tim: I think it started with the Matrix soundtrack. When that movie came out, I just lost my mind; it was great. And then first year at EDC, I was like: All right, this is it. Ashley: Prep for the festivals! 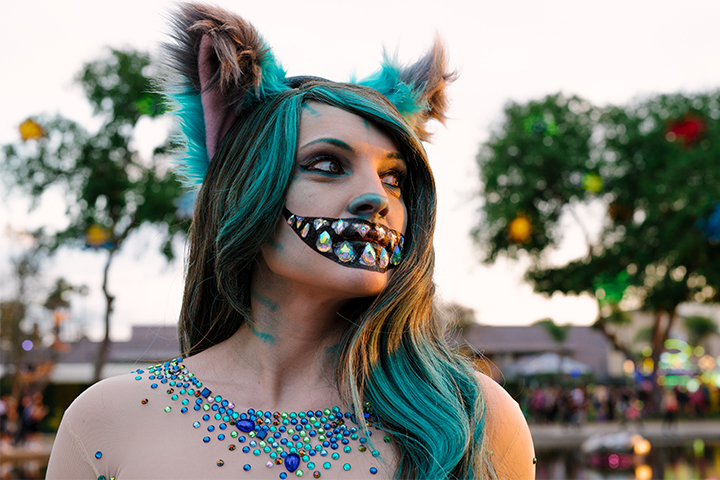 Make costumes and kandi and everything. Tim: I love snowboarding! This time of the year, it’s always a competition between if I go snowboarding or raving over the weekend. Francics: It says I love pink! I’m a girly girl, and I like to express myself through my outfit. I like to have fun; I like to look cute. Francis: Oh my gosh! The environment! The people and the music just move through you. It moves you, you know? it makes you feel good, like you’re in a good space and good head and a good place. I love it! Avery: The vibe! How it makes you feel all pumped up. 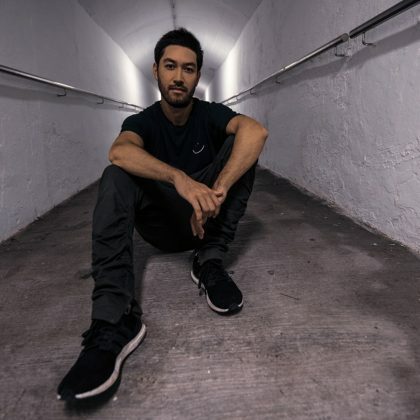 Even when you’re tired, just listen to EDM—some Deorro, some Steve Aoki—let’s bump it up, bump it! Francis: Scrubbing and surgery! I love the OR; surgery is my life. Avery: Sleep and eat, and sleep and rave and eat! Alexa: I’m artsy, and I love having fun! Maxine: I love all the variation in the music, but I think the culture that surrounds it is really special. The culture is what keeps me going. Alexa: The beat! I love being able to dance to music, and this has always been my favorite. Ever since I started out with Benny Benassi “Satisfaction,” I’ve been hooked. Maxine: I love animals; I love my dog in particular. So, I’m always at the dog park or volunteering there. The way that you can express yourself and not have people judge you. Basically, just listen to music. I would definitely say it shows my creative side. I’m very artsy, so it took a lot of time and dedication and very close attention. My mom used to play trance music, so I grew up listening to trance to go to sleep and during the day. It kind of just morphed into all of the genres. I am really into cars, so I drive my car pretty fast. I’m into the whole car scene. I like to have fun, let loose, be free, and I don’t worry about what anyone else thinks, because this is the one safe place where you can actually be yourself. Raving kind of saved my life. Back in 2009, I went through a really rough breakup and was in a really depressive state. Somebody randomly took me to a rave, and I fell in love. I found people who accepted me for who I really am. It’s where I can come and have a family reunion and see people I’ve known forever but only get to see when they are here. I am a video gamer; I love my video games, for sure. Right now, I’ve been playing Smite and Kingdom Hearts 3. Lauren: It represents my personality, because I like being creative. I try to put that into my outfits. David: I think it shows that I am dating a super creative person. She made everything from scratch. Lauren: I love how free it is and the fact that it unites so many different people. David: The culture as a whole. It’s hard to find another place where everyone feels at home all the time. Lauren: It’s all about love. Lauren: Exercising, riding my bike, longboarding, and going to the gym. 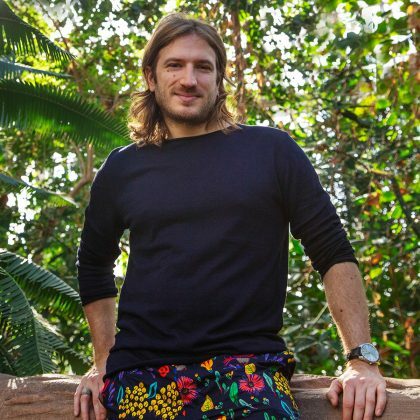 David: Brazilian jiu-jitsu, going to the gym, and going outside. I’m ridiculous and over the top. The first thing was costumes, obviously. I’ve always been into costume things, and my boyfriend has always been into dance music. So, I had some friends take me to EDC last year for my first rave, and I just fell in love with it. Probably backpacking and camping, so the complete opposite. 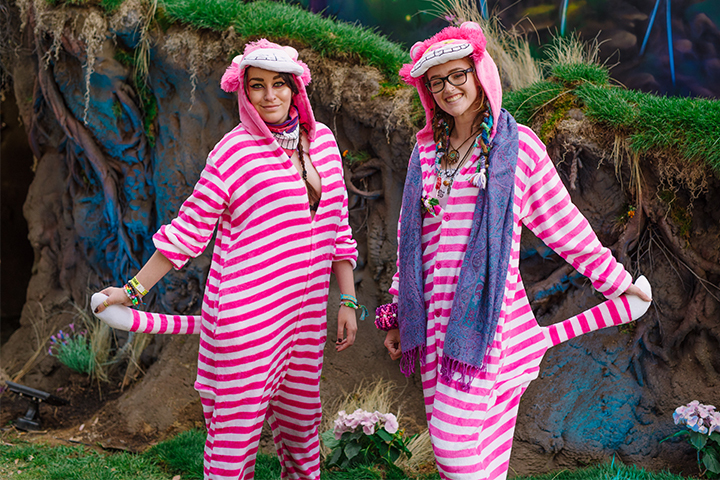 But when raves and camping cross together, it’s awesome.